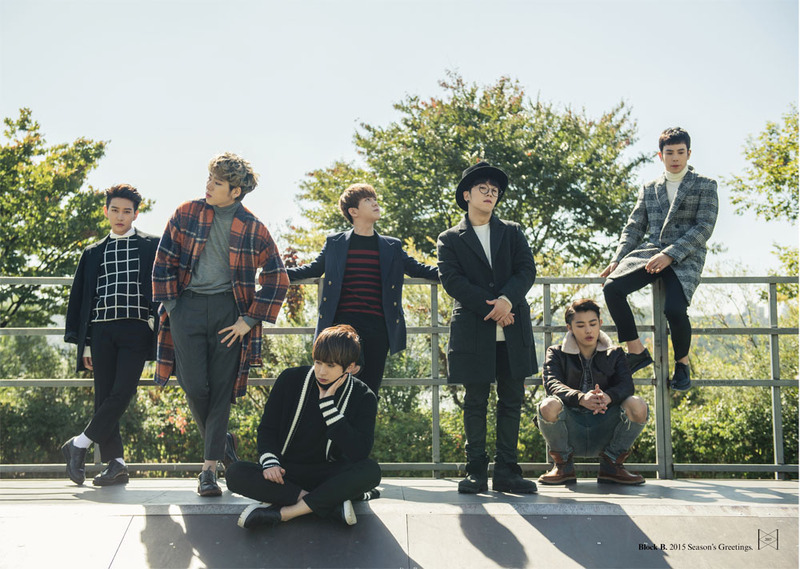 To 2015 desk calendar with Block B notes and unpublished photos that contain pictures full! And you can see at a glance the year 2015 poster calendar to the calendar! Bonus configuration! 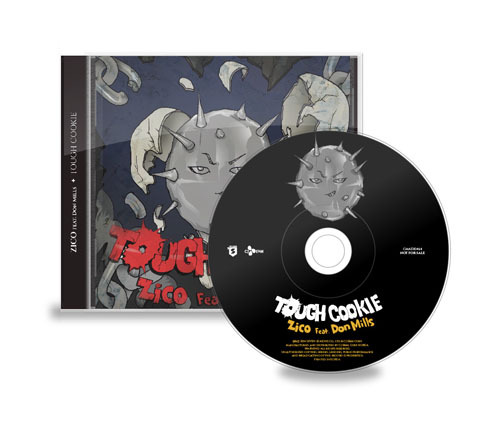 Zico solo sound <Tough Cookie> public memorial! The offline version CD with the unreleased photos! 2015 season greeting Book Sales plunge, you will find from December 10th! 4. 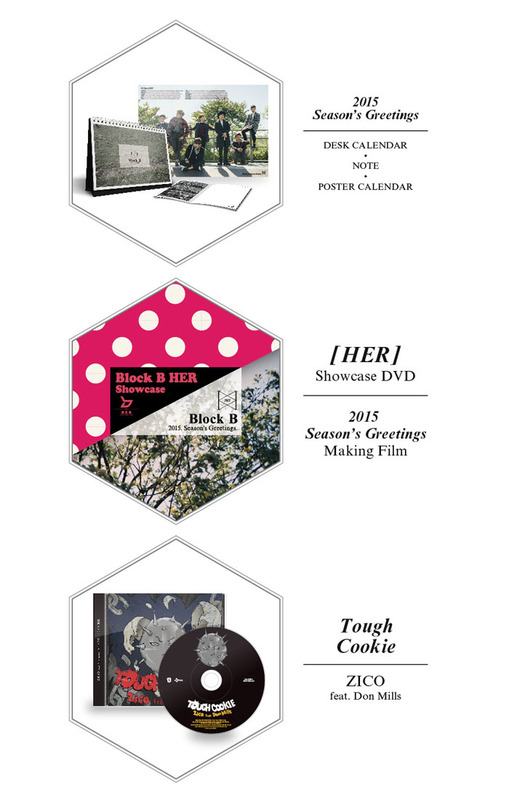 4.Block B HER Showcase DVD: 2014 Block B releases comeback of HER vivid scene of <HER> was the first public showcase stage to DVD! Do not miss the 2015 season as well as greeting making up the photo shoot video! Showcase (70 minutes) and making (28 minutes) a total of 90 minutes over the image configuration!